Brace yourself for an adrenaline-laced, high-speed chase through the streets, skyways, and underways of New Angeles. Exodus is now available in digital format. Written by Lisa Farrell, Exodus follows the story of Ken "Express" Tenma as he races toward the Colombian border, trying to stay one step ahead of the NAPD, in order to deliver a stolen package. 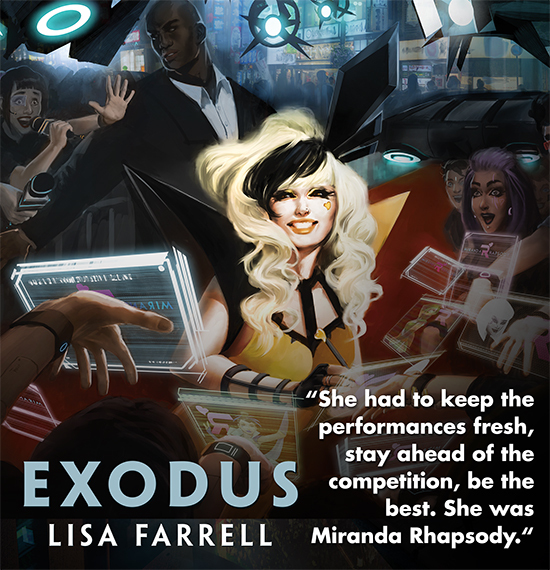 Filled with riveting action and closer looks at such popular characters as Express, Miranda Rhapsody, and Caprice Nisei, Exodus is a fast-paced page-turner that's sure to delight with its unique take on clones, cybercrime, black-market trade, and mysterious assassins. It will particularly delight (or frustrate) fans of the megacorp Jinteki Biotech as it explores some of the dirtiest secrets of the clone trade, including large-scale deception and the clone black market. Take a peek at the not-too-distant future. Pick up your copy of Exodus today!